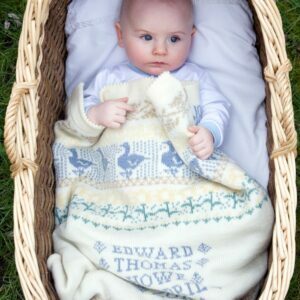 Charlotte’s personalised baby blankets make a very special gift for a new baby. They are loved by babies and parents and sure to be treasured forever. 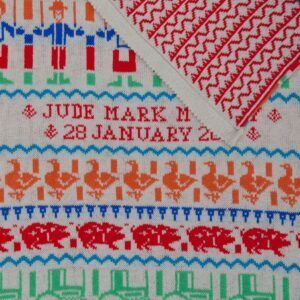 The wool blankets are knitted in either merino wool or lambswool. 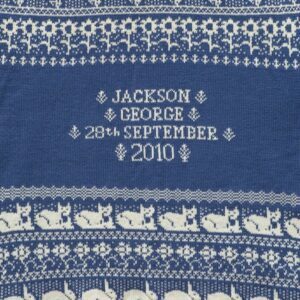 Each blanket is made from two knitted layers, with baby’s name and date of birth knitted on the front of the blanket. 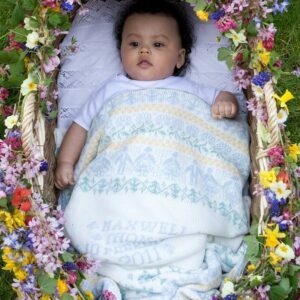 The Animals & Flowers and People & Trees blankets are knitted silky soft and warm merino wool and are available in a choice of four different colourways. 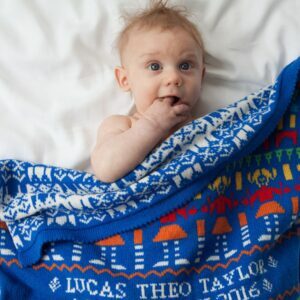 These blankets can also be knitted in cotton. 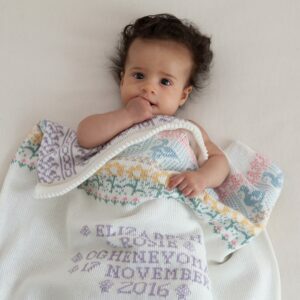 The Toybox baby blanket is Charlotte’s latest design. 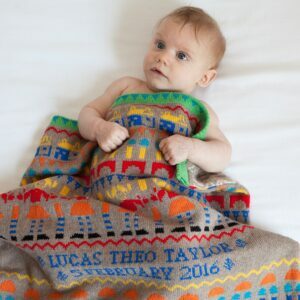 These blankets are knitted in soft and light yet warm lambswool in three vibrant colourways.